What woman expecting her first child hasn't heard the old axiom: it'll change your life forever. Few mothers would dispute its accuracy but Rachel Skelton could never have foreseen the way her world would shift on its axis after the arrival of her daughter Bella. The born and bred Gold Coaster was living in Sydney with her partner when Bella was born in May, 2014. She was a beautiful baby and came into the world with four birthmarks, stamps folklore might attribute to signs of luck, clues to past lives or unfulfilled cravings Rachel must have harboured during pregnancy. No one thought too much of them until Rachel took Bella home and more started appearing on her body. "I took her to GPs to show them," Rachel says. "It was always the same: I was a paranoid first time mum and she was fine. There was nothing to worry about. "But I just had this feeling there was something not right." 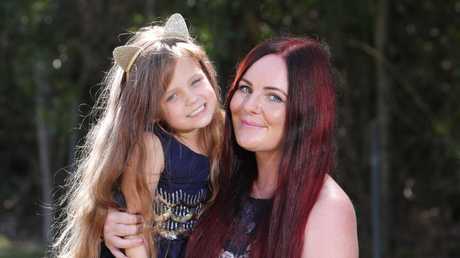 At six weeks old, Bella had more than 20 birthmarks and at her six week check up, her paediatrician suspected she may have the genetic condition neurofibromatosis, or NF. One of its early signs is having more than six birthmarks as a new baby. Bella was referred to the NF Clinic at The Children's Hospital at Westmead where she was formally diagnosed with neurofibromatosis Type 1. The first thing the nurses said to Rachel was not to Google it. The internet images of NF throw up a confronting assortment of disfigured sufferers, covered in hundreds, even thousands, of external lumps and tumours. "Of course I Googled it," Rachel says. "I was trying to get my head around it. I was convinced that would happen to my daughter." The truth is no one really knows what course NF will take in anyone afflicted by it. While some cases are hereditary, others, like Bella's, are a spontaneous gene mutation that occurs at the time of conception. NF Type 1, the most common form, is thought to affect one in 2500-3000 people in Australia. It is characterised by spots and growths, often on the skin and eyes, and tumours that develop around nerve endings. Sometimes they don't appear until later in life, often triggered around puberty. While some sufferers don't experience major health complications, the location and size of the growths can vary greatly, sometimes causing substantial impairment such as blindness or hearing loss, paralysis, even premature death. There is no cure. The best medicine can offer is to routinely scan sufferers at regular intervals to keep watch on tumours that may appear or grow internally. "When Bella was diagnosed, I jumped right in with two feet," Rachel says. "The only group in Australia that supports children and families living with NF was the Children's Tumour Foundation so I started volunteering with them." 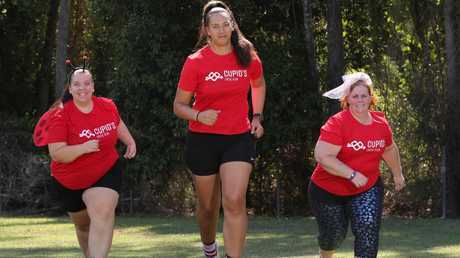 The foundation's highest profile fundraising event each year is the national Cupid's Undie Run where enthusiastic fun runners don their underwear to generate a bit of media attention and public awareness of NF. With nothing medicine could do for Bella except to watch and wait, Rachel relished the opportunity to take some action and threw herself into promoting the run and other initiatives. Her passion didn't go unnoticed. She was offered the job as the foundation's national campaign manager and didn't need to think twice. She quit her job as a primary school teacher and, in her own words, has been living and breathing tumours ever since. "It's like I live in an NF bubble," she says. "It's appointments and kids' scans and doing everything I can to spread the word. It gives me a sense of purpose, that I'm doing something for Bella and others with NF." Aged four and a half, Bella is an extroverted, quirky, natural-born comedienne who loves singing and dancing and will tell you every time her favourite colour is "glitter". 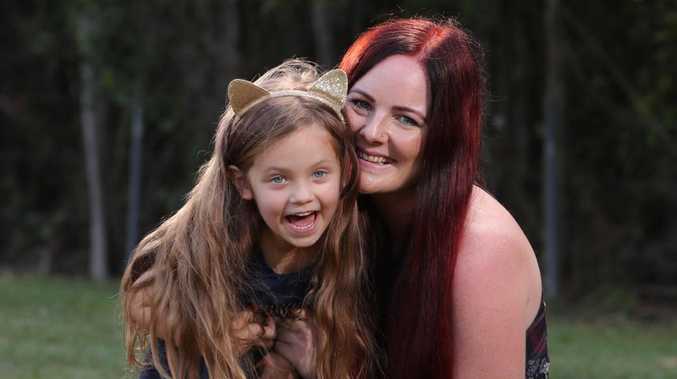 It's hard to imagine there could be any cloud hanging over her but at her first MRI scan, doctors discovered she already had tumours pressing on her spine. "They were found before the age of two," Rachel says. "It was a real kick in the guts. "Here I was telling myself 'at least she looks normal'. I was worried about the external growths, about how she might look to other people. I felt so guilty. I told myself 'you are so vain, so shallow to be preoccupied with appearance'. "What was worse, there was nothing they could do. Surgery is too risky. The growths don't respond to chemo. It feels like a ticking time bomb." Like others diagnosed with NF, Bella undergoes routine scans every six months. Rachel describes the gnawing symptoms of what she calls "scanxiety", the dread of each approaching appointment that may reveal new tumours or, just as worryingly, show her existing ones are growing. "All NF families know what I'm talking about," she says. "It's just that terrible feeling leading up to every scan and once one is over, it starts all over again worrying about the next one." To push it to the background, Rachel has thrown herself headlong into her role. Her aim is to establish a specialist NF clinic in Queensland, as exists in Sydney and Melbourne. As it stands, there is no umbrella treatment centre for NF cases in the state. Some specialists she has seen in Brisbane are not familiar with the condition and it is difficult to access holistic care across the various specialty areas. "That is what we are fundraising for," she says. "Another goal is to get better access to clinical trials for NF people in Australia. "There is next to no government funding for NF in Australia. There are drug trials overseas that look promising in shrinking or stabilising the tumours, but it's very hard for Australians to be considered for them. "When families have been told there's nothing that can be done, it offers them some hope. Of course they're going to jump at the chance to try something, anything." Rachel's other big quest is to increase awareness of NF so that people simply understand it. "When people have the external tumours, I want people not to have to ask if it's contagious and not to give it a second thought," she says. "I want people not to be scared of them and just accept them. It's starting a national conversation." Rachel has been buoyed by the support she's found within the NF community - it's like a big family, she says - although she admits to feeling the pressure at times. "Sometimes I feel the weight of the entire community but the people I've met through NF have been phenomenal," she says. 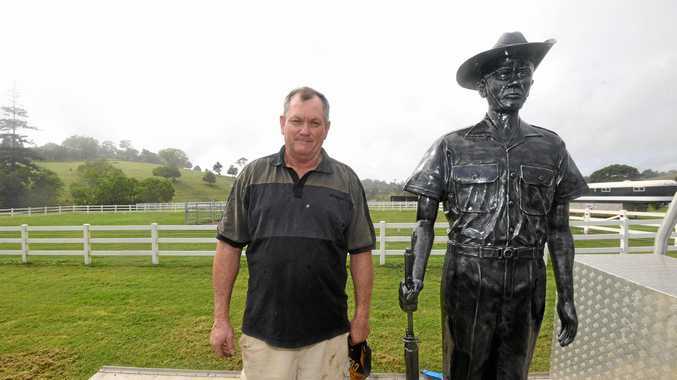 "We've also had great community support. My old school, Elanora High, raises funds for the Children's Tumour Foundation every year which means a lot, and when I speak to people about NF they have no hesitation in supporting us. "(The magician and former Bachelorette contender) Apollo Jackson has recently come on board as an ambassador and we've had great support from players from the Gold Coast Titans and the Suns. "If I can get five minutes of someone's time, if they stop and listen, they want to help." No doubt rallied by Rachel's genuine passion for the cause. But it has come at a cost too. The strain of dealing with Bella's diagnosis undoubtedly played its part in the breakdown of Rachel's relationship with Bella's father. "I know now it's very common in relationships where there are sick children," she says. "We had two very different responses when Bella was diagnosed. I jumped straight in with two feet and Brett just thought 'my daughter will be OK'. He was more in denial. "It puts a massive strain on the relationship of a lot of couples and we separated." As well as the "scanxiety" that's already building before Bella's next scan in May, Rachel admits to living with permanent guilt, however misplaced it may be. "When it's a spontaneous gene mutation, when you or your partner don't have the gene, as it was with Bella, a part of you thinks you must have done something to cause it. "You think I should have eaten better; what did I do for her to deserve this just by existing?" But, as in all special partnerships, when Rachel finds her spirits flagging, she finds her strength in Bella. "She takes everything in her stride," Rachel says. "She's the one who says to me, 'it's going to be OK, Mum'. She's so strong. She has a Wonder Woman cape that she wears to her appointments that she says makes her brave. "I couldn't be more proud of her. Everyone who meets her loves her. She's a little drama queen and I think she's destined for the stage but maybe it's a different sort of stage. "She was born on World NF Awareness Day - May 17. I didn't know at the time. I found that out some time later and I thought what are the chances? "I think she's destined to change the world. She'll either be a doctor who finds a cure or be up there on a stage somewhere spreading the word. I can see her doing that." It may well be a long road ahead but, in the meantime, her mum be doing all she can to pave her way.